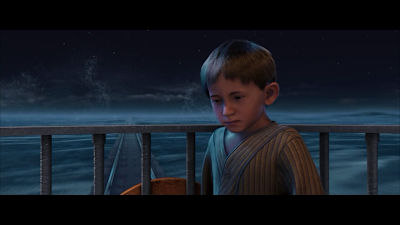 The Polar Express (2004) - AoM: Movies et al. Among the possible expiring movies, I thought it would be appropriate to watch The Polar Express, since I just saw Forrest Gump (1994) starring Tom Hanks. 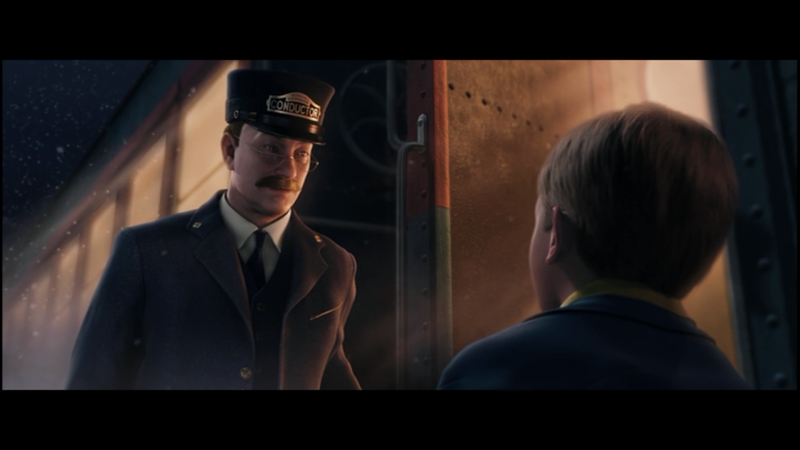 What I didn't know, however, is that The Polar Express also has the same director as Forrest Gump, Robert Zemeckis. 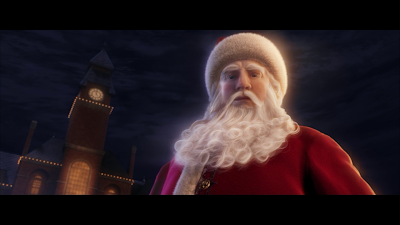 While I enjoyed the action and story of the film, the motion capture sometimes made the characters look weird or creepy. I think this is mainly due to the animation falling in a gray area between unrealistic and photorealistic. 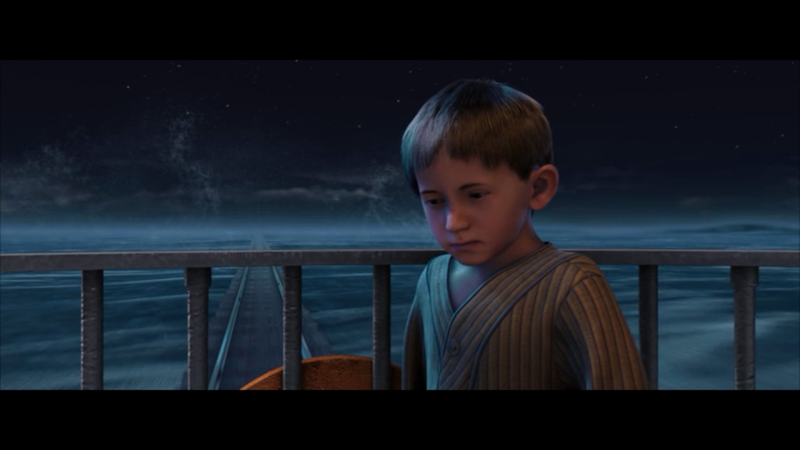 "See, he's out like a light, an express train wouldn't wake him up now." The Hero Boy (Tom Hanks) meets the Conductor (Tom Hanks). Haha, please join all the children I've collected. OMG, that stare is so creepy. That musical scene is so weird looking. And by the end of it, it seems like they've been drugged (hot chocolate), though they haven't. Oh no! What have you done!?! After the Hero Boy takes a seat, the Hero Girl (Nona Gaye) looks over and gives him a good long stare. 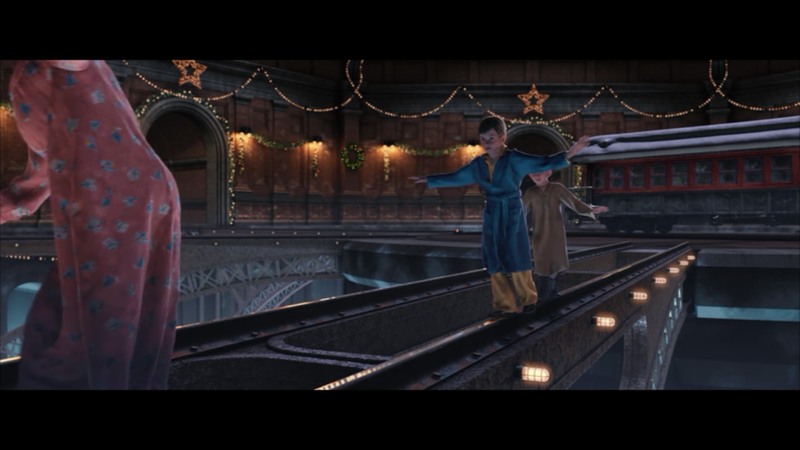 That man on top of the train is an interesting character. "One other thing, do you believe in ghosts?" [shakes his head] "Interesting." I mean, so was the conductor, but the one on top was more scary than creepy. Billy the Lonely Boy (Peter Scolari). "And someone save you?" "Or something..."
OMG, I'd be down on my knees over those tracks. Oh wow, he doesn't hear the bells. Wow, that scene where he believes is awesome. 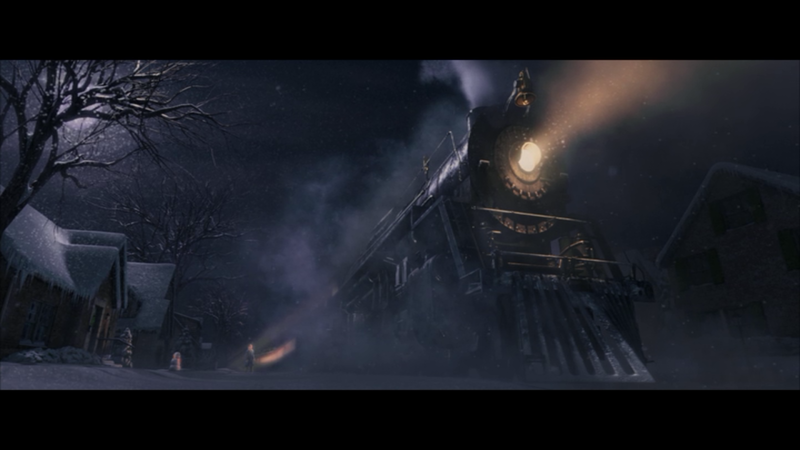 "The thing about trains... it doesn't matter where they're going. What matters is deciding to get on." The three kids bravely balance their way across train tracks suspended high above the ground.